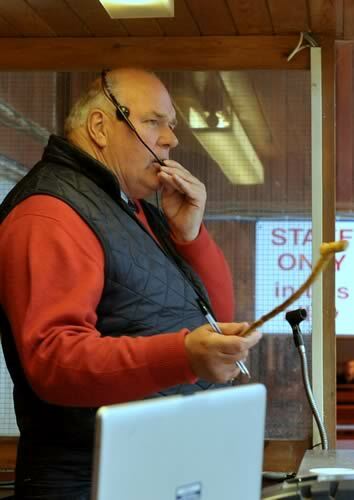 The Cumberland & Dumfriesshire Farmers Mart had forward 127 Store Cattle and 74 Breeding Cattle at their fortnightly sale at Longtown on Tuesday 24th May, 2011. A good show of grazing cattle forward saw keen bidders ensuring trade upheld recent high rates and topped at £855 and £840 for British Blue heifers from J.B. & T.A. Thompson, Horsegills. 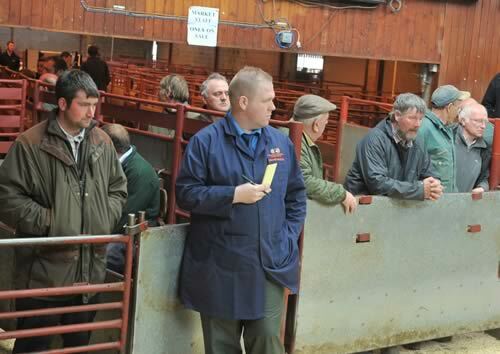 A catalogue entry of 74 Breeding Cattle forward met a brisk trade throughout. 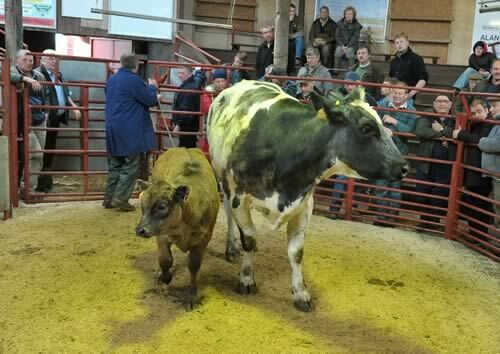 A packed ring of buyers saw prices peak at £1,950 for a British Blue heifer with Limousin calf from Mrs D.E. Smith, Mossfoot, others £1,900 from Mr D. Kemp, Derwent House. Charolais - £795, £750 (x2) Shankbridge End. Limousin - £795, £740 Albierigg, £710 (x7) Dargarvel. Shorthorn - £715 (x5), £705 (x3) Minsca. Saler - £595 (x4) Gillalees. British Blue - £855, £840 Horsegills. Limousin - £810 Braehead, £800, £710 (x2) Nickies Hill. Galloway - £780 Nickies Hill. Limousin - £825 (x2) Harelaw Hill, £650 (x3), £600 (x3) Campingholm. Charolais - £660 Harelaw Hill. Shorthorn - £630 (x2) Minsca. British Blue Heifer with Bull Calf - £1,950 Mossfoot, £1,900 Derwent House. Simmental Heifer with Bull Calf - £1,700 Howden. Angus Heifer with Bull Calf - £1,220 Raeburnhead. 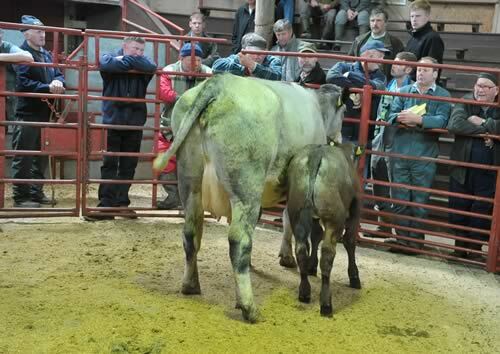 British Blue Heifer with Heifer Calf - £1,880 Mossfoot. Simmental Heifer with Heifer Calf - £1,650 Standing Stone Rigg, £1,450 Howden. Limousin Heifer with Heifer Calf - £1,400 Derwent House. Angus Cow with Bull Calf - £1,280, £1,200 Cleugh Head. Angus Cow with Heifer Calf - £1,150, £1,100 Cleugh Head. Limousin Cow in calf - £1,000, £880 Branteth. British Blue Cow in calf - £1,000 Branteth. 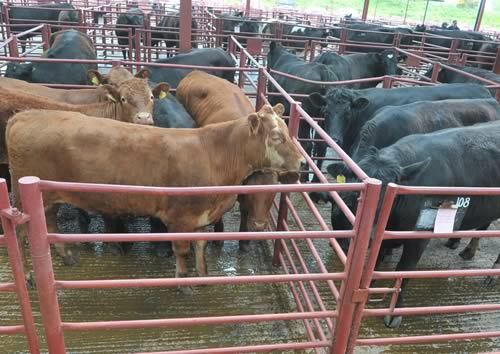 Limousin Bulling Heifers - £920 (x2), £880 (x2) Parcelstown. British Blue Bulling Heifers - £900, £870 (x2) Parcelstown. 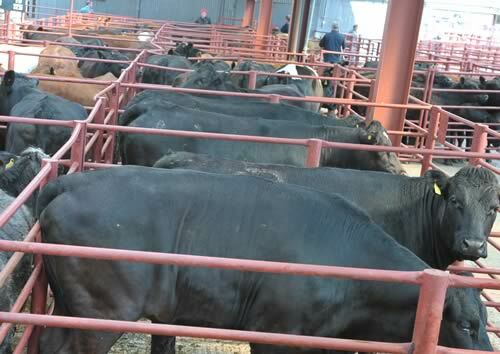 Angus Bulling Heifers - £860 Parcelstown.